It’s really difficult to face the day when you’ve spent the past eight hours tossing, turning and trying to count sheep. Sleep deprivation certainly isn’t a recipe for success when you’re on a mission to tackle your to-do list and kick career — and life — goals. From stress to too much technology and caffeine before bed, there are plenty of environmental and emotional factors that can contribute to a sluggish day of yawns and little concentration. But on the upside, there are plenty of good habits, practices and rituals you can implement to increase your chances of a better night’s sleep. Yoga poses and deep, mindful breathing is one of them. It’s true — taking some time each evening to slow down, sit, stretch, breathe, release tension, let go and soothe your mind and body will help lead you towards a night of restful restoration. Today we’re sharing with you four of our favourite yoga poses to include in your bedtime zen routine, so roll out your mat and start them tonight! Remember to always work within your own limits and abilities! This pose is pretty much exactly as it sounds. Simply lay on the your back with your sit-bones as close to a wall as is comfortable for you. Next, extend your legs up the wall so the back of each leg is resting full against it. Breathe through this pose for anywhere from five to 15 minutes! Lay on your back and bring the soles of your feet together while allowing your knees to open and naturally drop out towards each side. Stretch your inner thighs and open your hips and chest. With each exhale, allow your body to soften and relax into the floor — and the Earth. Sink deeper and deeper with each breath. Perhaps the most common resting pose, this one will help you calm your mind and relieve tension in the body. Kneel on the floor, touch your big toes together and sit on your heels. Separate your knees to about as wide as your hips. Exhale and lay your torso down, nestling your hips between your thighs. Your forehead rests on the floor with your arms stretched out — palms to the floor – above you. Savasana — the best way to finish up your evening yoga practice and drift off into dreamland. This one is such a peaceful way to transition into a quick meditation or further breath exercises before you sleep. Lay on your back, with your legs extended straight, and soft. Place your left hand over your heart and your right hand over your stomach. Some nice breath-work to accompany this pose goes as follows: Inhale to the count of four, hold your breath to the count of seven and exhale to the count of eight. Repeat four times. 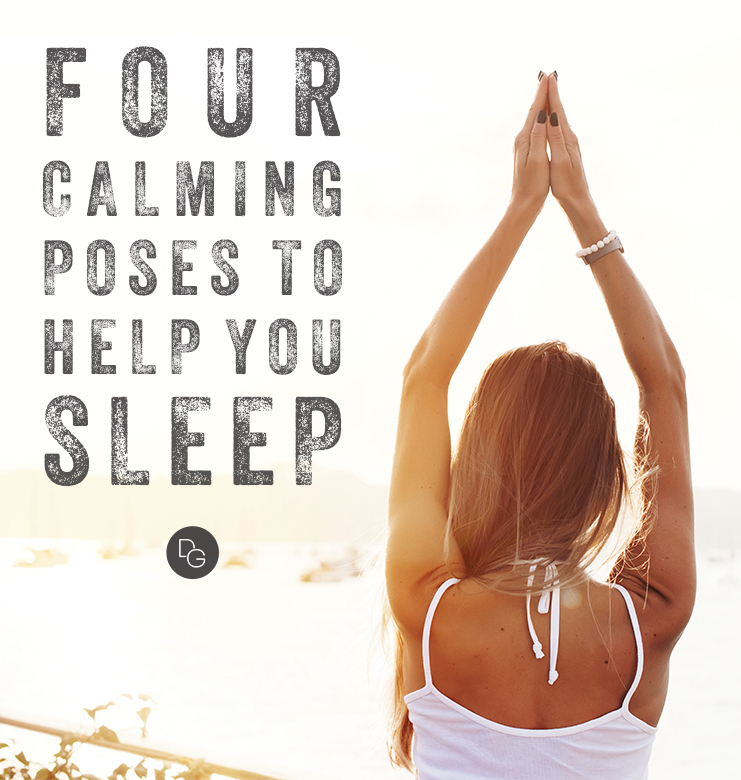 Do you practice yoga as part of your bedtime routine? Do you find it helps you get a better night’s sleep? Share some of your favourite poses with us in the comments below! ← IS TECHNOLOGY NEGATIVELY IMPACTING YOUR QUALITY OF LIFE?